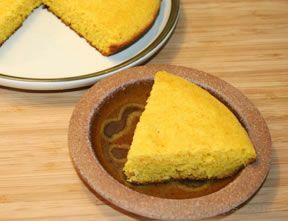 A quick cornbread that is perfectly served up with chili for those blustery days. It's moist and sweet. Preheat oven to 350 degrees F. Grease an 8-inch square pan. Stir in sugar with melted butter. Quickly add eggs and beat until well blended. Combine buttermilk and baking soda and stir into mixture in pan. Stir in cornmeal, flour and salt until well blended and a few lumps remain. 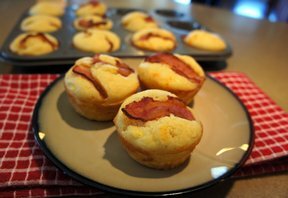 Bake for 30-40 minutes or until a toothpick inserted in the center comes out clean. Serve with butter or honey. 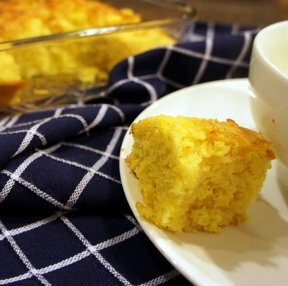 **NOTE: If you do not have buttermilk you can make your own by mixing 1 cup milk and 1 Tablespoon vinegar or lemon juice and let stand for 5 minutes. 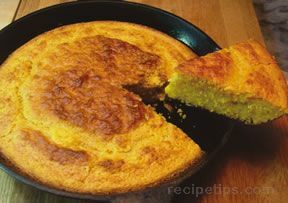 "Good cornbread recipe. I think I like it with creamed corn in it better, but we ate it all gone, so it must have been good."